Frank Edwards, the international award winning producer and vocalist, just two days after releasing Big Thangs A’Gwan, and barely two weeks after the release of the ROCTOWN GREATNESS EP, the Rocktown boss is out with another captivating music video titled OKAKA featuring fellow RockTown signee, Victor Ike. 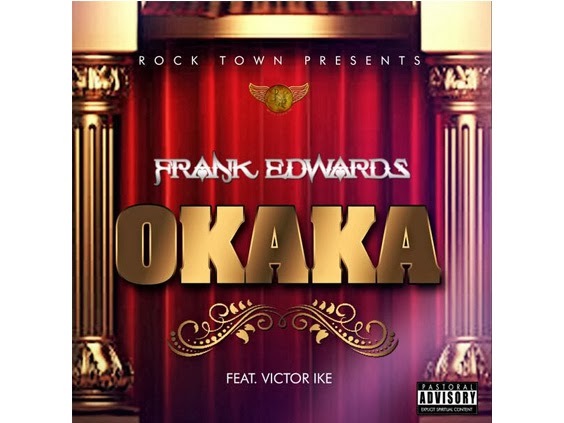 Okaka is a wonderful praise song with FIOKEE dmagicfingers spicing it up with his guitar. You just can’t go wrong this. The video which was shot in South Africa and directed by Lawrence Omoiyare is his first music video in 2014.